The Ghost Nebula (aka IC 63) is located 550 light-years away in the constellation Cassiopeia the Queen. The nebula’s glow reminds some people of the apparitions reported by paranormal investigators. In reality, it’s simply radiation from hydrogen that is being bombarded with ultraviolet light by the nearby blue-giant star Gamma Cassiopeiae (not seen in this picture). The blue light is starlight reflected by the nebula’s dust. Over 200 billion. Stars that is. This fuzzy blob of light is the galaxy known as Messier 49 (or M49). It’s a giant elliptical galaxy with 200 billion stars. 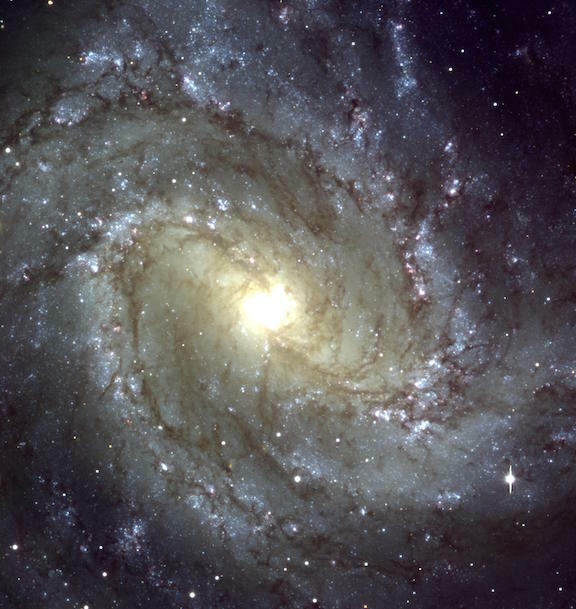 Spiral galaxies have a well-defined structure with spiral arms, but elliptical galaxies are fairly smooth and lack obvious features. M49 was the first member of the Virgo Cluster of galaxies to be discovered, and it is more luminous than any other galaxy at its distance (56 million light-years) or nearer. It is about 157,000 light-years across. 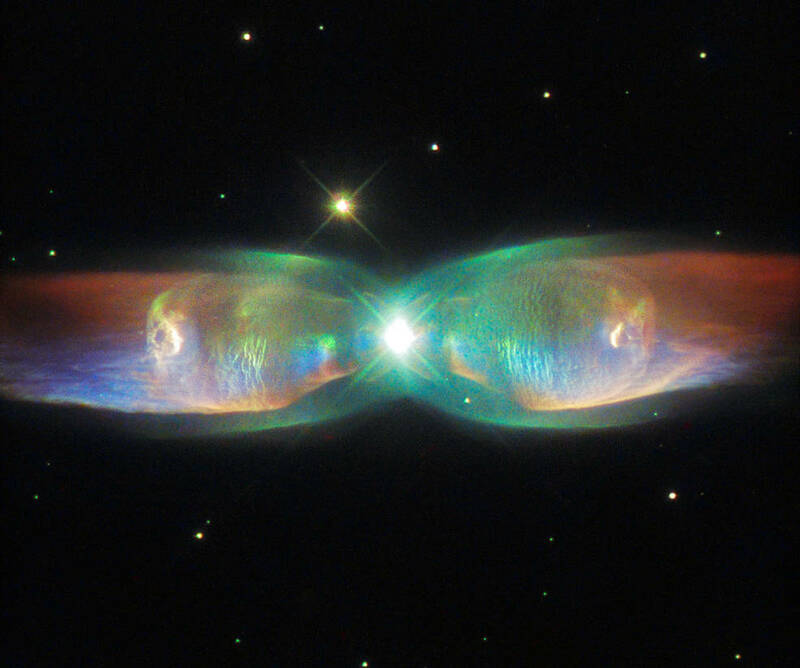 This cosmic butterfly is called the Twin Jet Nebula. It’s a planetary nebula but not just any planetary nebula—it’s a bipolar nebula. An ordinary planetary nebulae have one star at its center. A bipolar nebulae has a binary star system. The wings of the Twin Jet Nebula are thought to be caused by the motion of its two central stars around each other. As the dying main star and its white dwarf companion orbit around their common center of mass, the ejected gas from the dying star is pulled into the two lobes. The two stars at the heart of the nebula circle one another about every 100 years. This rotation not only forms the wings of the butterfly and the two jets, it also allows the white dwarf to strip gas from its larger companion which then forms a large disc of material around the stars extending out for billions of kilometers, up to 15 times the orbit of Pluto. Even though that disk is of huuge, it is still too small to be seen on the image taken by Hubble. Messier 28 or M28, also known as NGC 6626, is a globular cluster of stars in the constellation Sagittarius. It’s about 17,900 light-years away from Earth. It has a combined 551,000 times the mass of the Sun and is 12 billion years old.